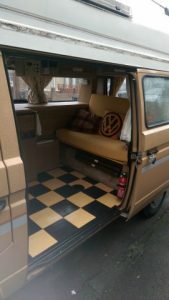 A few details about the van and useful contacts. We’ve used this as the place to keep useful information for reference as and when we need it so if it looks a little nerdy- sorry. We bought our wifi boosting and mifi kit from them at the Peterborough Show earlier this year and hope we can master the technology. Adam has been great responding to our queries as we stumble on. *….means “or so I’m told” Will be amending these as reality dawns. Works undertaken so far including replacing parts which although not broken may expire during the year on the road . Charging points for phones etc. Oh and ….the buzzer of doom (killed off after a trip to the Ardennes when it would not stop.